Lotte Lenya (1898-1981) was born Karoline WIlhelmine Charlotte Blamauer in Vienna and moved to Berlin in 1921 to find work in the theater. In 1926, she married the composer Kurt Weill and in 1928 played the role of Jenny in the first performance of Weill and Bertolt Brecht’s epochal, The Threepenny Opera, which would establish her as one of the best woman interpreters of the Brecht-Weill oeuvre. She was cast in other Brecht-Weill works including the opera, Rise and Fall of the City of Mahagonny and the ballet chanté The Seven Deadly Sins. 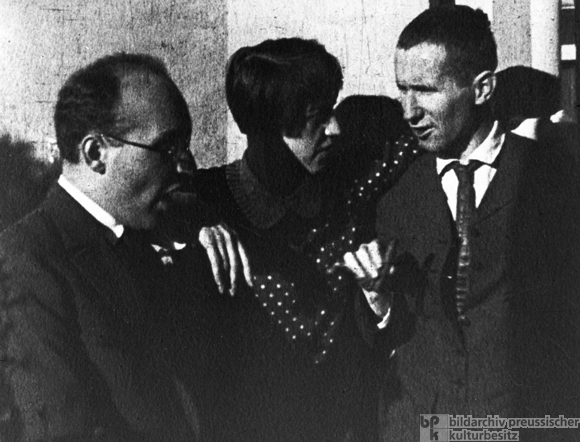 Lenya responded enthusiastically to Brecht and Weil’s efforts to create new theatrical forms that captured the turbulence and conflicts of the modern world, and that staked out a more participatory culture and politics. Their collaboration has become a legend in musical theater history and an icon of Weimar culture.